20 Country/Region and Current Share Scenario By Year Electricity Share Europe (21%) EC (2009) “Energy Trends 2030” 2030 36% IEA WEO (2012) “New Policies” 2035 43% EREC (2010) RE-thinking 2050 2030 65% SEI (2009) Europe’s Share of the Climate Challenge 2030 75% EC (2011) “Energy Roadmap 2050” “High Renewables” 2050 97% EREC (2010) RE-thinking 2050 2050 100% United States (11%) DOE EIA (2012) Annual Energy Outlook 2035 15% IEA WEO (2012) “New Policies” 2035 23% UCS (2009) Clean Energy Blueprint 2030 40% Greenpeace (2012) “Advanced Revolution” 2030 71% Lovins/RMI (2012) Reinventing Fire “Renew” 2050 80% NREL (2012) Electricity Futures Study 2050 30–90% Japan (10%) METI (2010) “National Energy Plan” 2030 20% ISEP (2011) “Energy Shift” 2030 50% Greenpeace Japan (2011) Energy [R]evolution 2030 57% Greenpeace Japan (2011) Energy [R]evolution 2050 85% ISEP (2011) “Energy Shift” 2050 100% WWF Japan (2011) “100%” 2050 100% China (18%) CREIA (2012) “Study of High-Share Renewable Energy” 2030 25% BNEF (2012) “Global Renewable Energy Market Outlook” 2030 28% LBNL (2011) “Accelerated” 2030 29% Greenpeace (2012) Energy [R]evolution 2030 43% IEA ETP (2012) “2DS” 2050 50% Greenpeace (2012) Energy [R]evolution 2050 92% India (31%) /Other Asia Greenpeace (2012) Energy [R]evolution (India) 2030 62% GEA (2012) Global Energy Assessment (South Asia) 2050 27–86% Greacen (2012) (Thailand) 2030 30% APEC and ADB (2009) "Energy Outlook for Asia and the Pacific" 2030 16% Latin America World Bank (2011) (Latin America/Caribbean) 2030 54% Greenpeace (2012) Energy [R]evolution 2030 86% GEA (2012) Global Energy Assessment 2050 60–100% Africa Greenpeace (2011) Energy [R]evolution (South Africa only) 2030 50% IRENA (2012) “Renewables” (all Africa) 2030 50% IRENA (2012) “Renewables” (all Africa) 2050 73% Greenpeace (2012) Energy [R]evolution (all Africa) 2050 92% GEA (2012) Global Energy Assessment (sub-Saharan Africa) 2050 34–92% Table 2: Electricity Shares of Renewable Energy in Recent National and Regional Scenarios Sources: See Annex 2 for full scenario names and citations, and online supplement “Scenario Profiles Report” for scenario summaries. IEA ETP figure for China is given as "almost 50%." Current shares and other notes from Endnote 25 for this chapter. 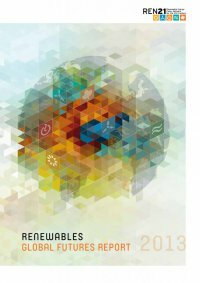 RENEWABLES GLOBAL FUTURES REPORT 01 how much renewables?